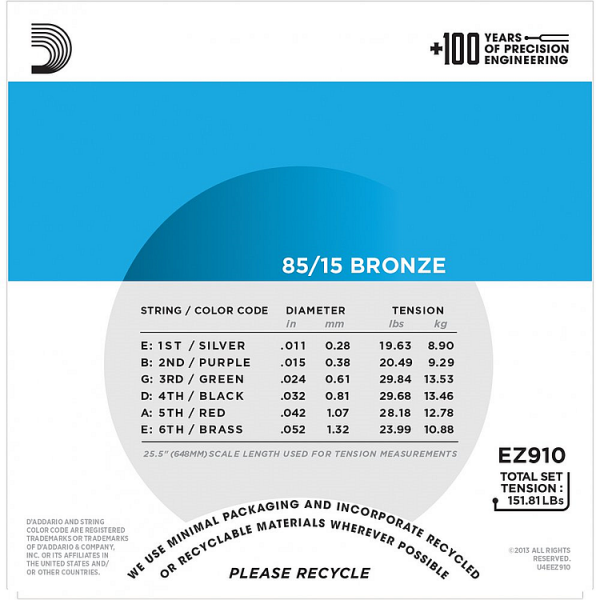 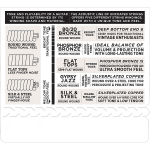 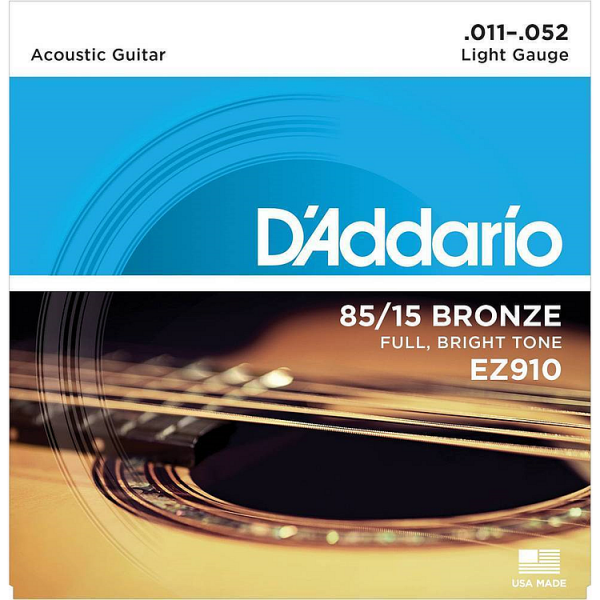 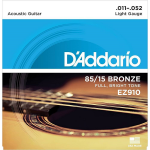 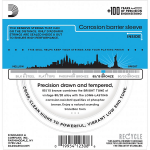 Combines 80/20 bronze with the longer life characteristics of Phosphor Bronze, delivering a bright tone that accommodates a variety of musical styles. 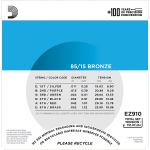 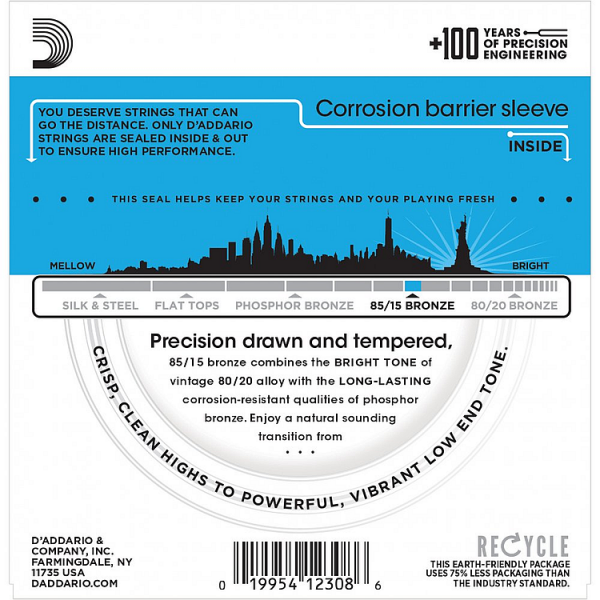 The 85/15 Bronze wrap wire is precision wound onto a carefully drawn, hexagonally shaped high carbon steel core, resulting in long lasting, bright sounding tone with excellent intonation, perfect for any level of acoustic player. 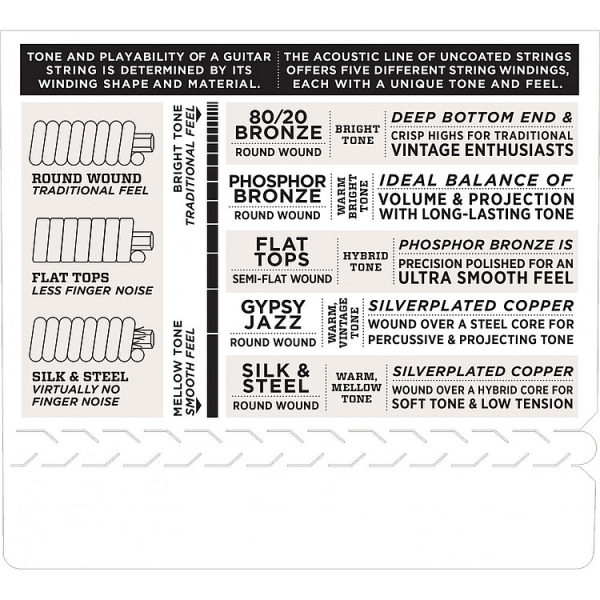 Hybrid gauge and comfortable compromise for the depth and projection of light gauge bottom strings, but slightly less tension on the high strings for easy bending.